Clean & ready to sail. 2 crisp sails (stored inside) - one with a hole. She is a 20 ft White hull with original White and Sunset colored deck. 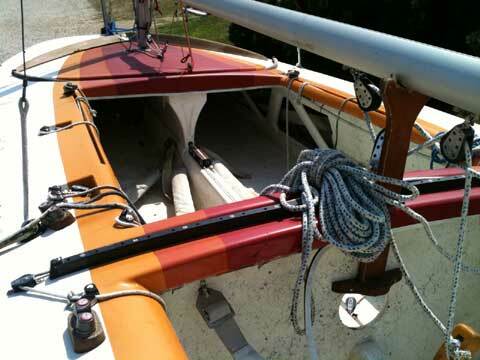 Has bumps and bruises as most Scows do at her age, but no major fiberglass issues. Not included in the price but Negotiable is a black plastic truck bed box I used for gear storage like a dock box and a spare wheel and tire. 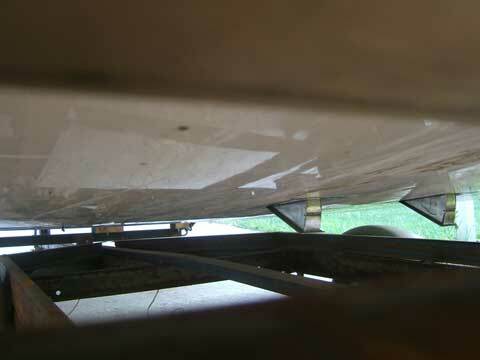 It has an over-boom boat cover that is really old and is likely in its last season of use. She is a fast and fun boat. Previously raced at Lake Lotawana, Ive had her for 4 years on Perry Lake. 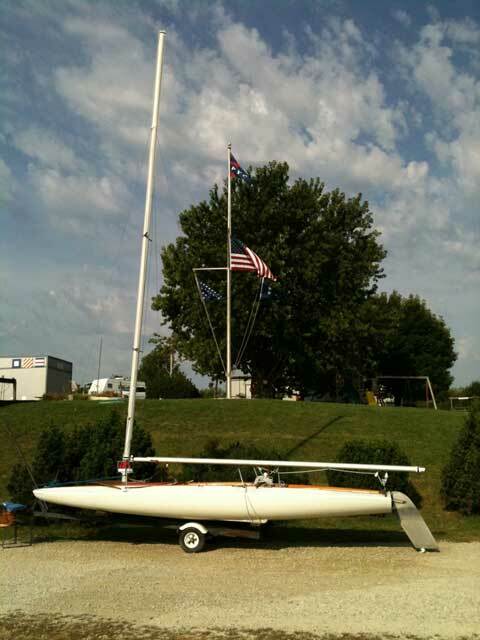 I raced her in the PYC Centerboard Series and took Second place in 2008. Most lines are 4 years old or less and in very good shape. I ave a baby now, cant sail as much and am selling. 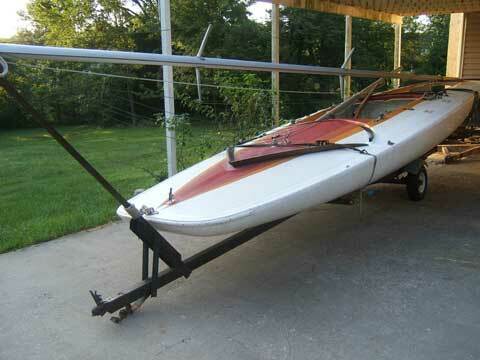 Sold My C Scow in Kansas Yesterday! 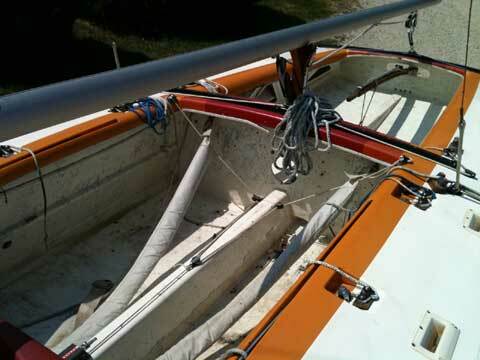 This is my second boat Ive Sold On Sailing Texas. Your site rocks. Thanks Alison, Keep it up!